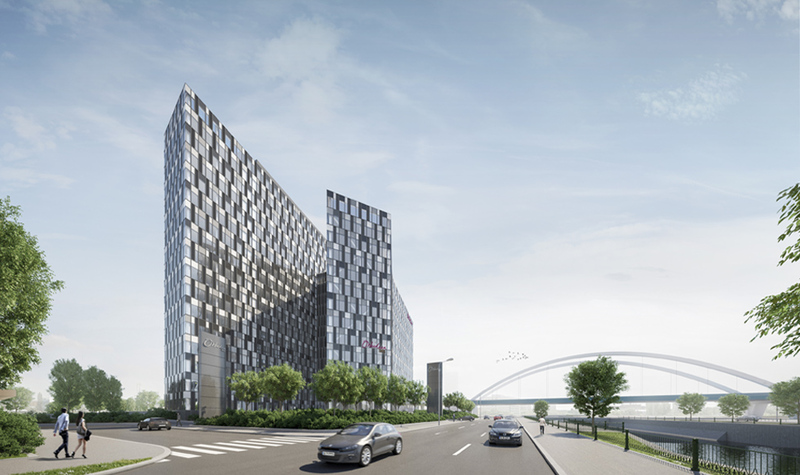 Optim Project Management has been appointed by CA Immo as the Cost & Project Manager to deliver Orhideea Towers, an icon landmark project located in the new emerging central-western business district of Bucharest. Optim PM is assigned by the client to provide Cost & Commercial Management services, Project Management services, Dirigentie de Santier services and Health & Safety Coordination. The office development next to the Grozăvești metro station will have a total gross leasable area of 37,000 square meters and will absorb a total investment of EUR 75 million. The project includes two towers, H-shaped, inspired by orchid petals, linked together by a bridge enveloped into a glass façade, having 13 floors (GF+12 F), respectively 17 floors (GF+16 F) and offering 406 parking spaces on two underground floors. Completion and opening of the new office building is planned to be in 2018.